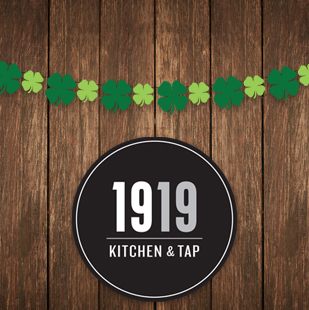 Celebrate the Green & Gold at 1919 Kitchen & Tap! Enjoy Irish-Inspired food and cocktails all day in honor of St. Patrick's Day! Details to follow.